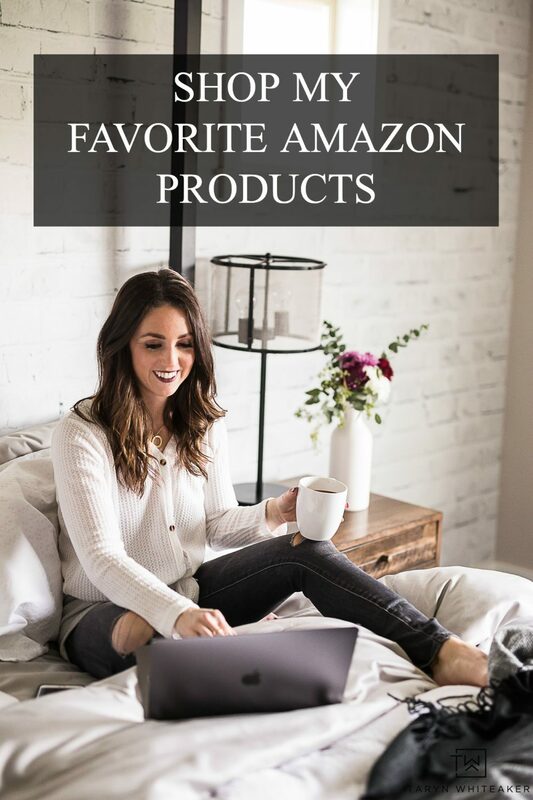 Disclosure: This post is sponsored by Balsam Hill, all product selections and styling are my own. 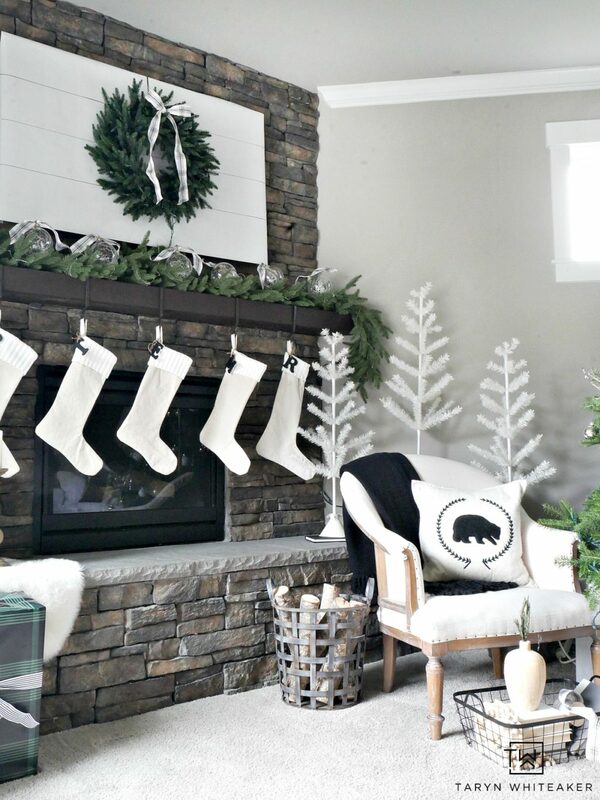 Even though it’s still the beginning of December, I feel like I’m a little behind on getting up Christmas decor up on the blog! But all that is changing this week! I am kicking off a week full of room reveals with the Balsam Hill Holiday Housewalk. 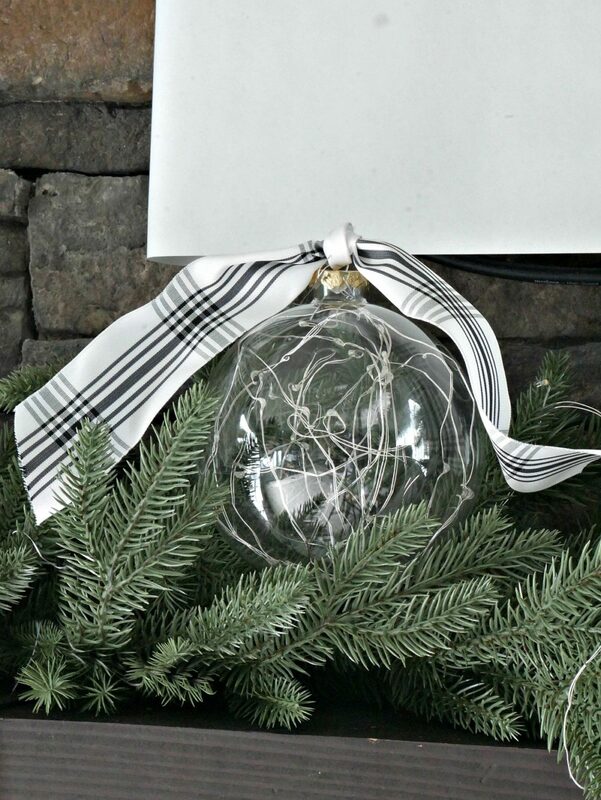 Balsam Hill makes the most gorgeous Christmas Decorations including greenery, trees, and tons of decorative accents. 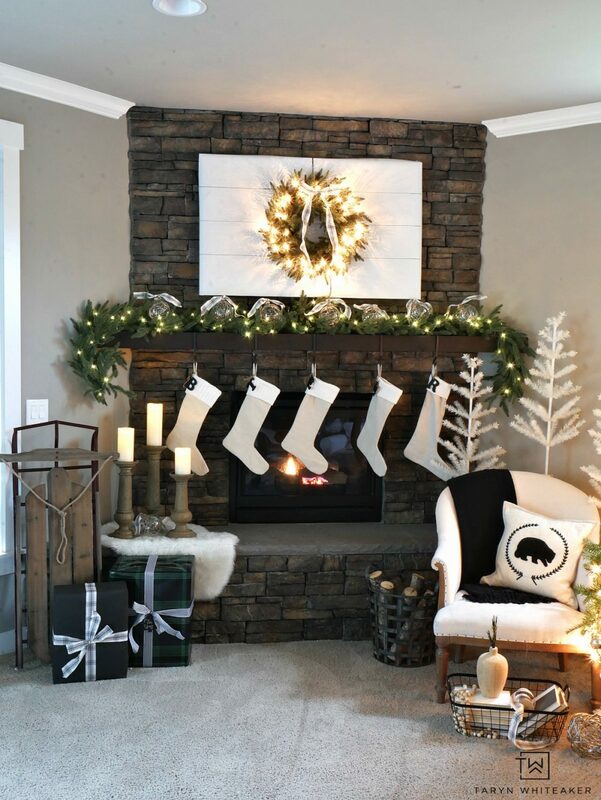 I’ve partnered with them to bring you a whole new look to our fireplace and mantel area for this holiday season. 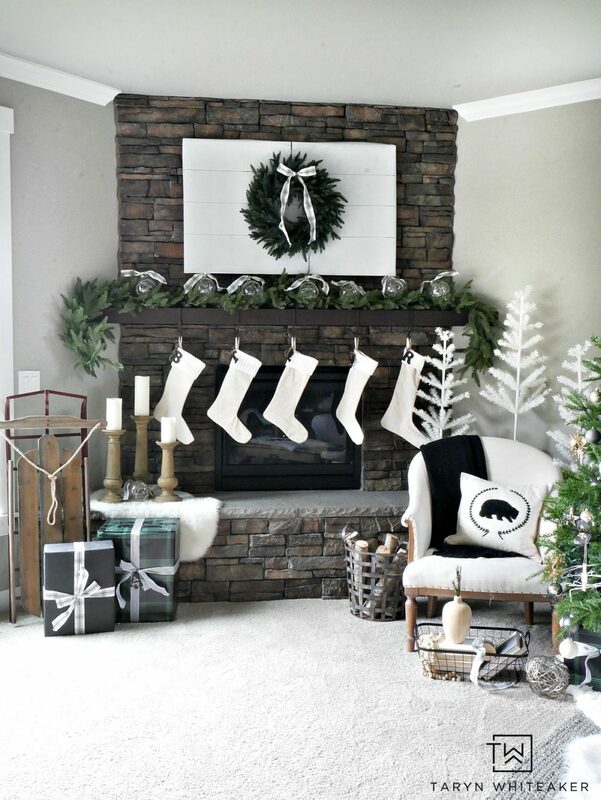 Are you ready to see our Neutral Christmas Mantel filled with lush greenery, winter white and pops of black? I love decorating our mantel for the holidays. 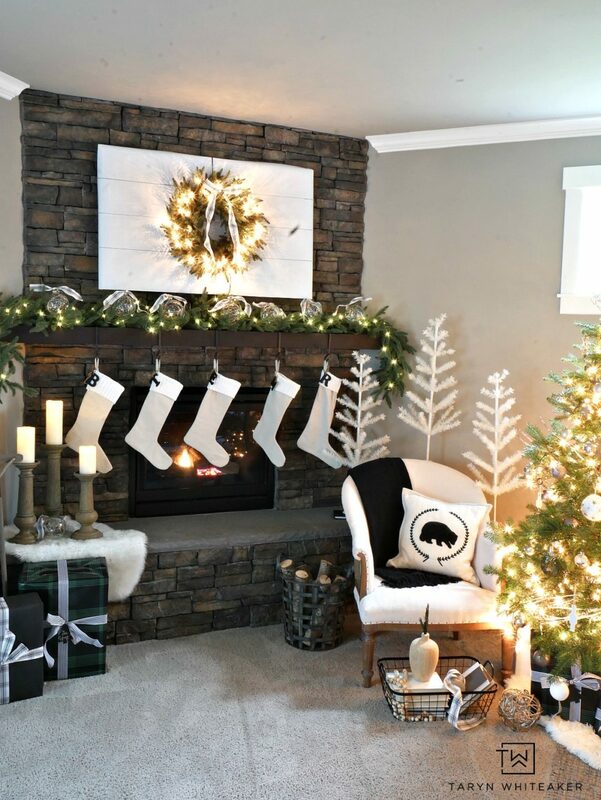 There is just something magical about seeing the stockings hung with cheer that make this space the focal point for Christmas. I went for a simple and elegant look on our rustic coffee table. 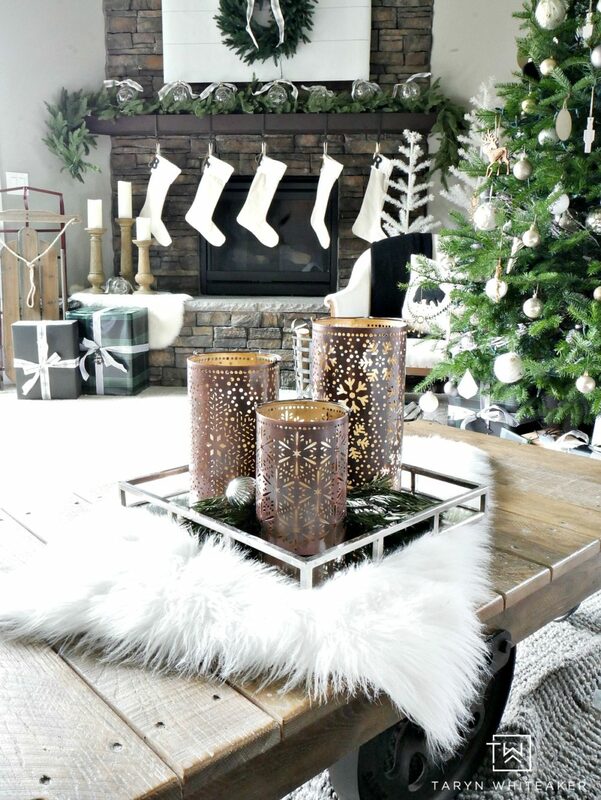 I love pairing different textures together and this mix of the wood, fur and metallics is just what I wanted for our holiday decor this year. This set of Luminary Candles make a big statement piece on the tray, you don’t need much else on the table that’s for sure! 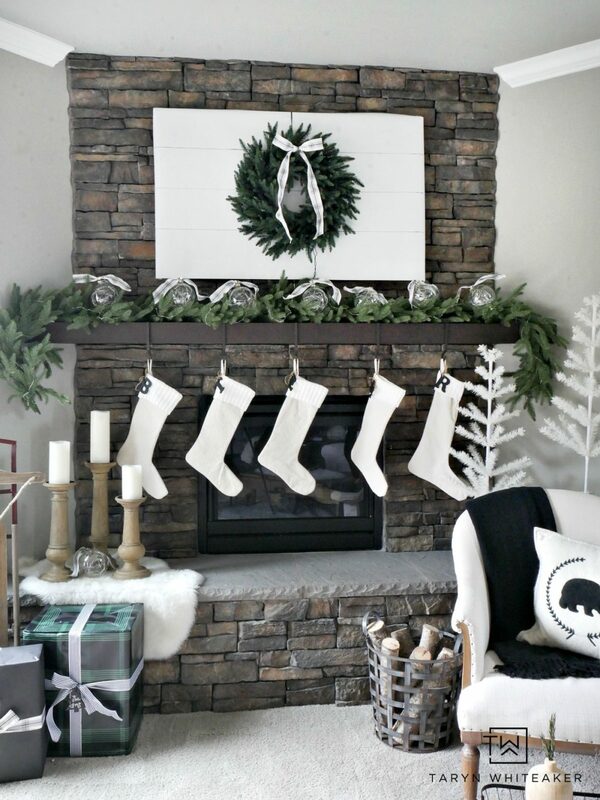 Now let’s take a closer look at the mantel! 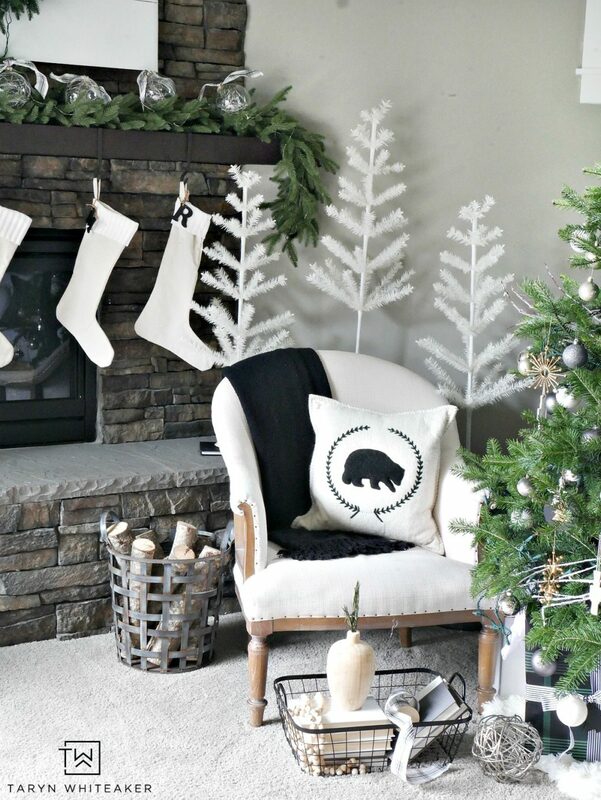 I’m keeping a very neutral palette this year, filled with black and white and TONS of greenery. I love the organic feel that all the greenery gives. It makes the whole space feel so fresh. 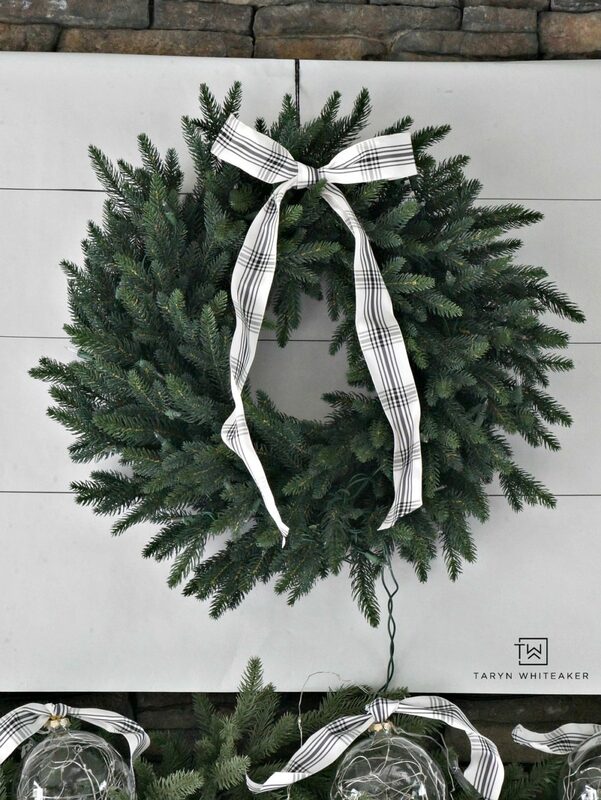 But the thing is, as real as this may look, all of this is super high quality faux greenery from Balsam Hill. It is absolutely gorgeous! I am SO impressed by how real the garland and the wreath look. I have always loved the look of a forest of trees for Christmas. Seeing tons of trees together creates this winter wonderland feel that I know we all wish we had during the holidays! I feel in love with these Ivory Feather Trees, they have this cool vintage modern look to them and add so much character. 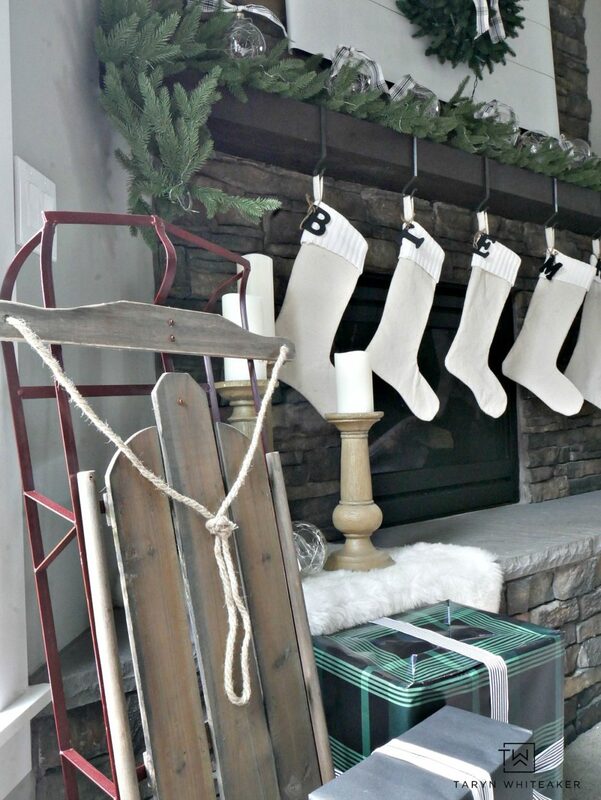 Speaking of vintage, a feel like a vintage sled is a staple when decorating for the holidays. This vintage sled, and those amazing faux bois wood pillar candles bring a touch of wood tones to the display and soften the look. 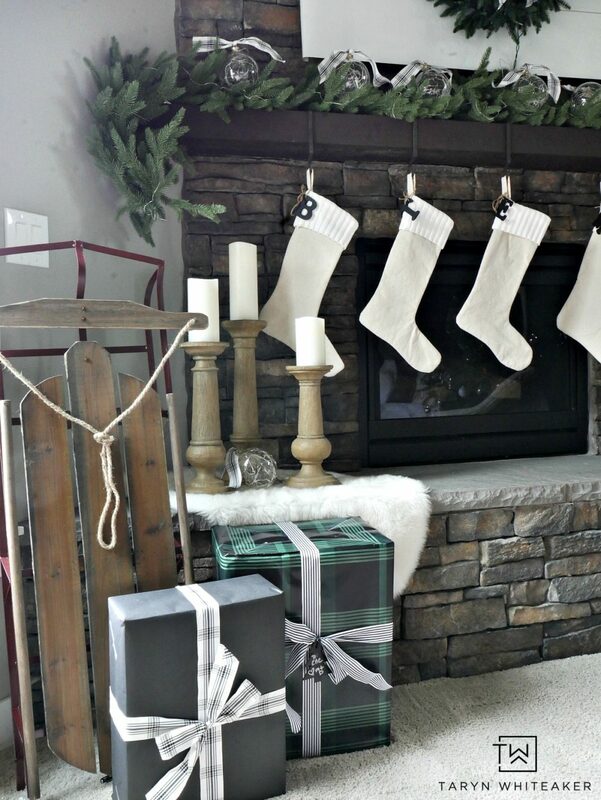 These are our family stockings and they are hung every year over this fireplace. I made each one of them a few years back and added everyone’s initials. 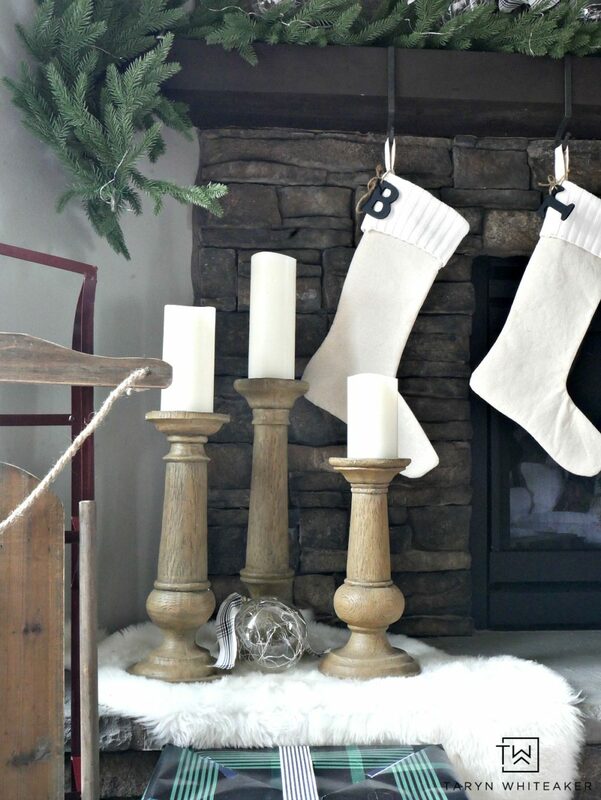 They are one of our sentimental pieces Christmas decor and seeing them hang from the fireplace is what makes Christmas. 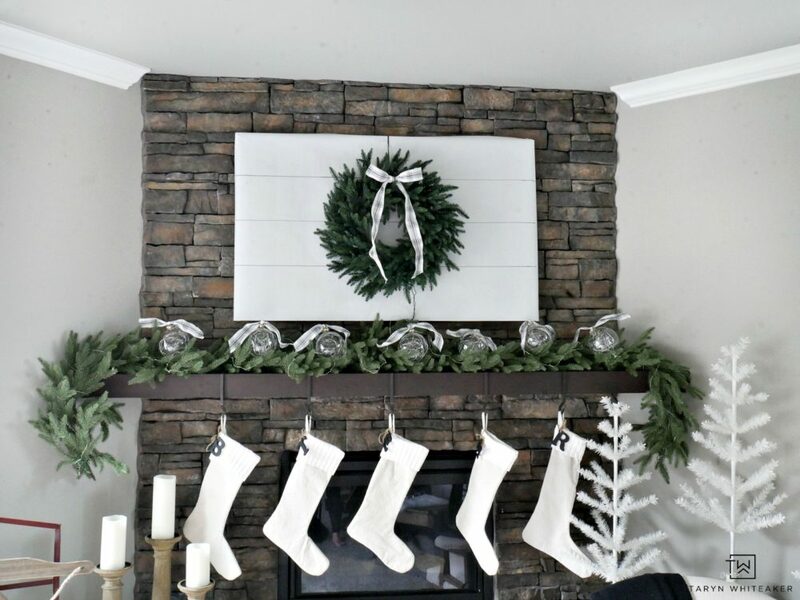 Did you notice that something is different on the mantel? While we typically have our TV hanging up here, I decided to cover it using white wrapping paper and adding a beautiful green wreath. 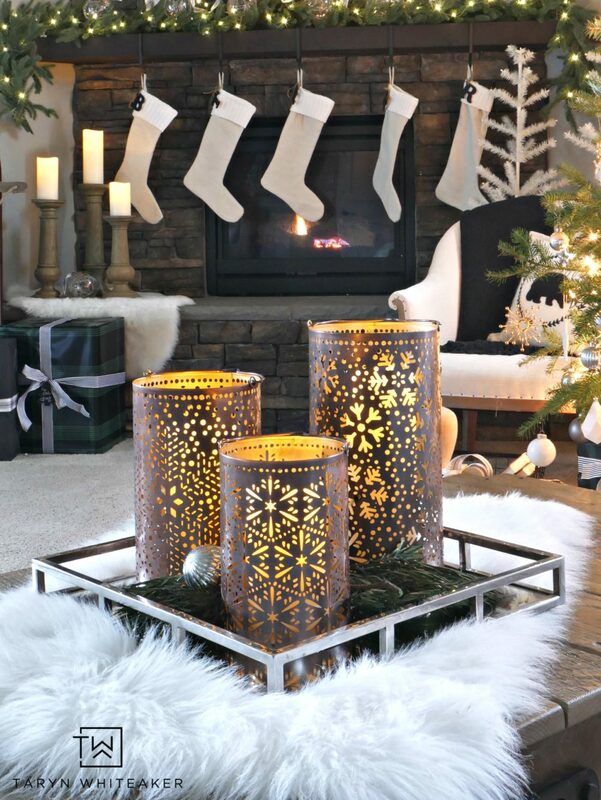 This is a fun trick when decorating for a holiday party, or if you just want to eliminate the screen time for a bit! 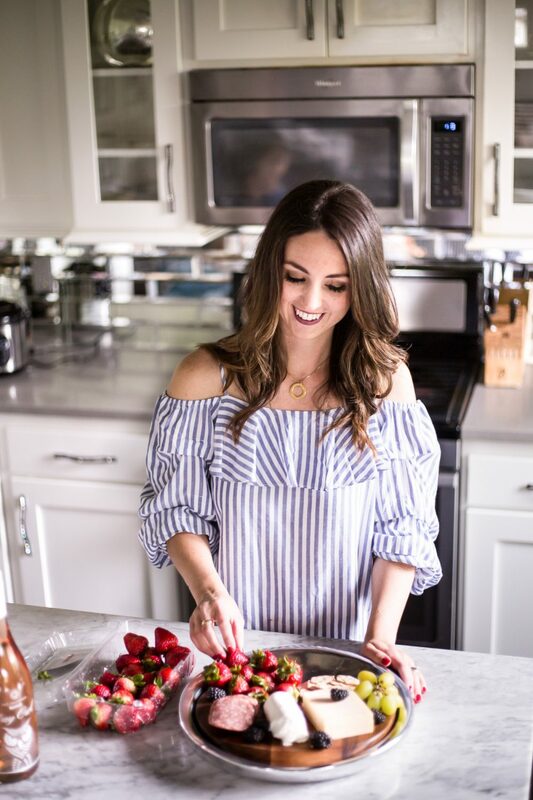 We took it down for our every day look but I love how it all ties together! I added these oversized luminary ornaments on top of our greenery. Each one of these comes with a batter pack and lights up! They would be really fun tucked into a tree, or like I did here on the garland. I tied a little ribbon on top to add some pattern to the display. The only thing I will caution with these is that the lights are more on the yellow/gold coloring, versus the traditional bright white. I can’t wait to show you more of this space! I love sitting here at night, watching the sparkling Christmas lights and sitting by the fire. This is the warm and cozy feeling I love for the holidays. Tune in tomorrow to see more of this space. 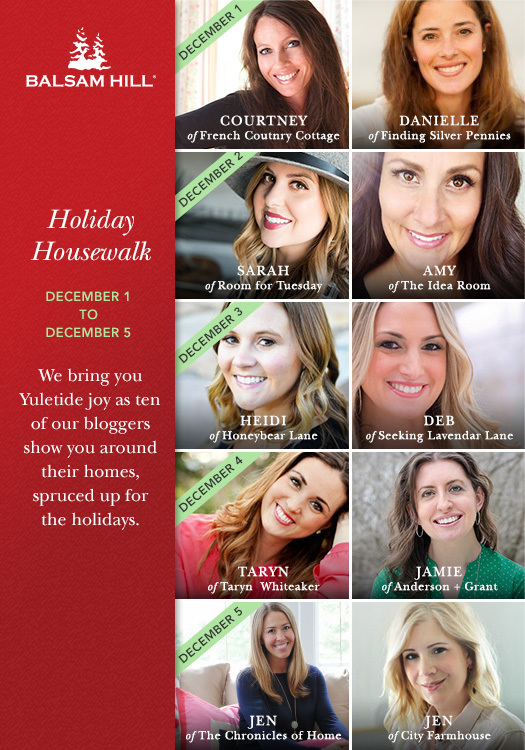 And below is a list of the other bloggers sharing their homes for the Holiday Housewalk! Beautiful Taryn! I love all your beautiful pieces from Balsam. Everything is so pretty Taryn! Now I’m wishing I would have chosen the luminary candles on your coffee table. They look so nice all lit up!